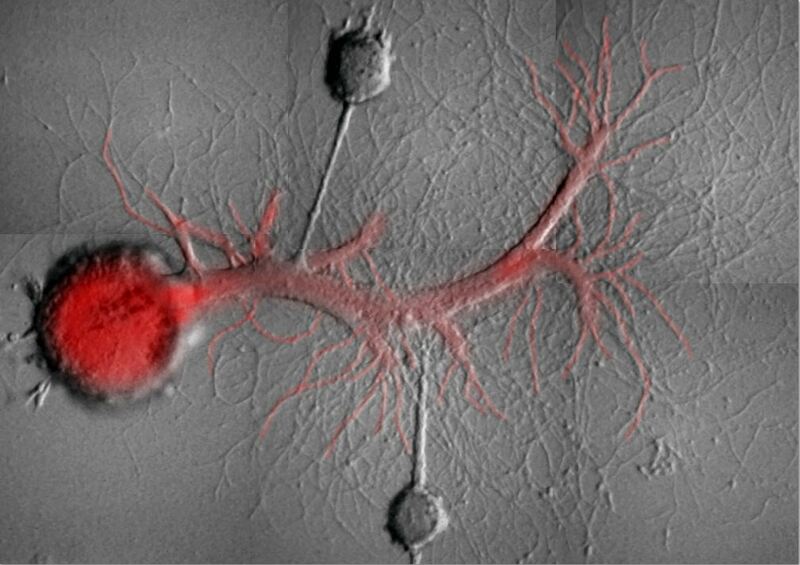 Scientists have known for some time that a memory is stored in the brain through changes in the strength of particular synapses, the structures that pass signals between neurons. However, how the change in strength persisted remained a mystery. Solving this mystery has important implications for remedying neurological and psychological disorders. A collaborative study by research groups from Columbia University Medical Center and the Montreal Neurological Institute and Hospital of McGill University (The Neuro) has improved our understanding of memory retention. Their findings could one day lead to therapies that alleviate anxiety disorders and posttraumatic stress disorder (PTSD) by selectively erasing pathological memories. In 2006, neuroscientist Dr. Todd Sacktor and his colleagues at Downstate Medical Center were able to erase memories in mice by inhibiting a key enzyme named PKMzeta. Subsequent studies however found it was not so simple – mice that had PKMzeta genetically deleted could still form normal memories, as other molecules could compensate for the loss. While this was frustrating for scientists trying to understand memory, it also posed an opportunity. If more than one molecule could maintain memory, maybe individual memories could be manipulated by targeting specific molecules. Dr. Wayne Sossin’s lab at The Neuro found that not only PKMzeta, but a family of related molecules could maintain memory in a mollusk called Aplysia california. Researchers often use Aplysia to determine the cellular and molecular bases of simple forms of learning and memory because they have large neurons and a simple, easy-to-manipulate nervous system. The results generally parallel those found in vertebrates. Dr. Samuel Schacher and Research Associate Jiangyuan Hu at Columbia University Medical Center found that it was possible to reverse the cellular storage of two simple forms of memory (associative and non-associative) in Aplysia californica with different types of manipulations, suggesting that different molecules could maintain each memory. Associative memory occurs when we create links between unrelated items, like a bell sound and recess or dismissal. Non-associative memory is the generalized reaction to certain stimuli caused by previous experience, such as anxiety caused by a traumatic event. The Schacher and Sossin labs then teamed up to determine if distinct memories use different members of the PKM family. The researchers stimulated two sensory neurons of Aplysia, both having synaptic connections with the same motor neuron, one to induce associative memory, and another to induce non-associative memory. They found that by targeting specific variants of PKM in the motor neuron, they could erase the associative and non-associative forms separately, because the variants responsible for strengthening the synapses of each of the two sensory neurons are different. In addition, they found that specific memories are also erased by targeting distinct variants of other molecules that either protect specific PKMs from degradation or participate in the generation of specific PKMs. Their findings are described in a paper published on June 22, 2017 in Current Biology. It demonstrates that different forms of memory co-exist in the same neuron and each form can be manipulated separately. The paper identifies new facts about how memories are stored and demonstrates ways to selectively erase them, with a goal to one day treating conditions like anxiety disorder and PTSD. Memory erasure has the potential to alleviate PTSD and anxiety disorder by removing the non-associative memory that causes the maladaptive physiological response. By targeting the exact molecules that maintain non-associative memory, drugs may be developed that can treat anxiety while not affecting the patient’s normal memory of past events. “Our work demonstrates that there are diverse mechanisms by which neurons maintain memories in the brain and provides hope that some day we will be able to selectively remove pathological memories.” said Dr. Sossin. This study was funded by a CIHR grant to Dr. Sossin and an NIH grant to Dr. Schacher.